HauntCon is the center of the Halloween universe this weekend in New Orleans. 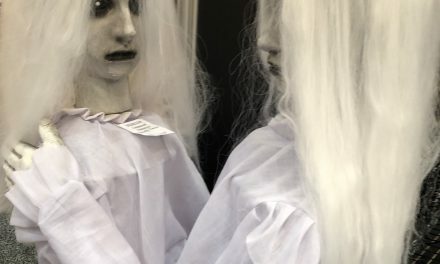 Just about every top Halloween prop manufacturers were in attendance showing off their newest creatures for the fall. Morris Costumes went all out this year with their latest animatronics. 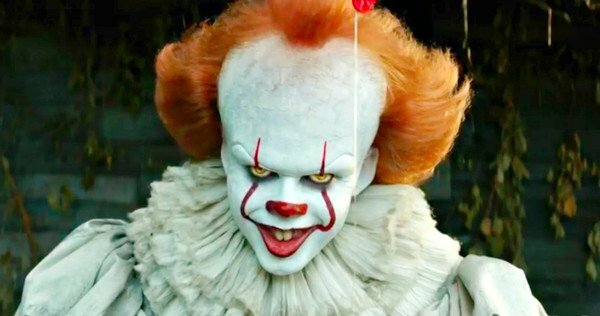 They took a tried and true favorite like a creepy clown and turned the volume all the way up to 11. Check out the video below. Here’s Psycho Circus Cagey! Psycho Circus Cagey is a seven foot tall clown that is holding a cage which contains a little clown. The prop is dressed in a maroon overcoat and top hat like a ringleader. The prop is very well done and I love the attention to detail like the missing front tooth. That really adds some character. His little buddy is dressed in a miniature clown costume and is pretty menacing even though he’s stuck in a cage. 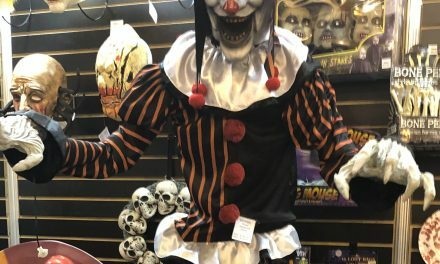 Morris Costumes has really taken clown props to the next level and now the giant clowns that were already terrifying now have an added twist like the clown holding another scary clown. I’m not sure how they are going to top themselves next year but I said the same thing last year. 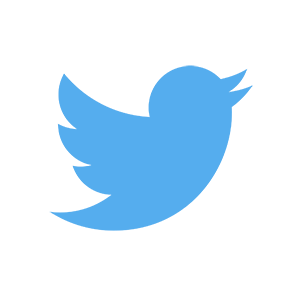 The suggested retail price will likely be $249-$299. Of course that is subject to change and varies from retailer to retailer. 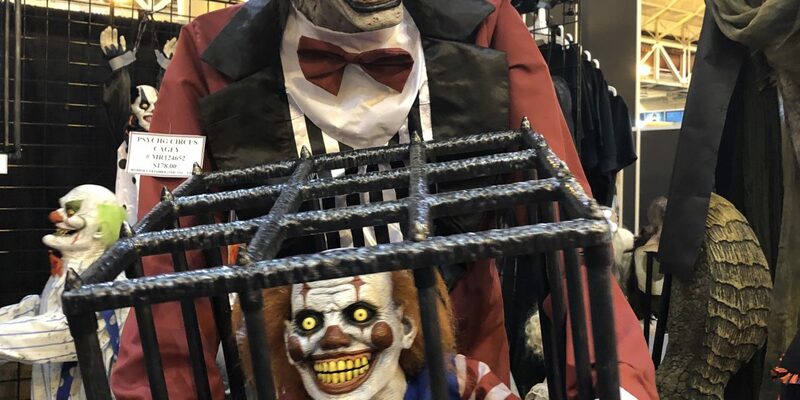 Each Halloween store has different margins they run on so you might find Psycho Circus Cagey for $279 on a website then see him for $299 at a store this fall. 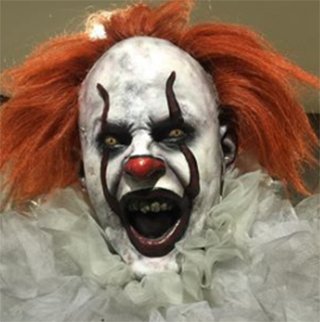 I was told that Psycho Circus Cagey will not be in Spirit Halloween this year and will likely be at other large Halloween stores like Halloween Express later this year. The prop will likely be available for pre-order this summer and will probably ship in late August. Keep checking back. We’ve got a lot more cool stuff coming from HauntCon in the coming days. Halloween will be here before you know it!